We want to Thank our customers for their past support with a chance to WIN a $250, $125 or $75 Decorative Films Gift Certificate for our online store. 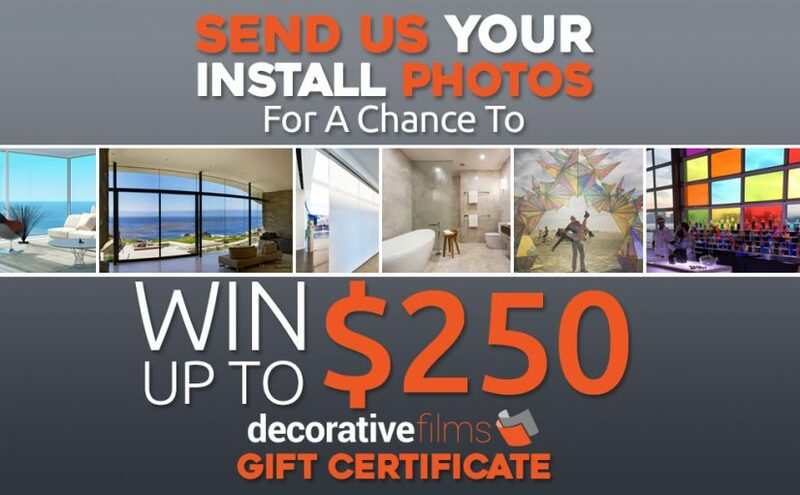 Just tag us in your best image of our SOLYX® Films installed in your home or office on Facebook or Instagram and use the hashtag #DECORATIVEFILMSGIVEAWAY. The top 3 photos we choose will WIN! Contest ends Thursday February 1st so get your submissions in as soon as possible. Winner will be posted on Facebook, Instagram and our Blog on Friday February 2nd so make sure to follow us now!